A spokesman for the department later said that Nielsen had reviewed the intelligence community's assessment and agrees with it, but said the intelligence assessment language "is nuanced for a reason." 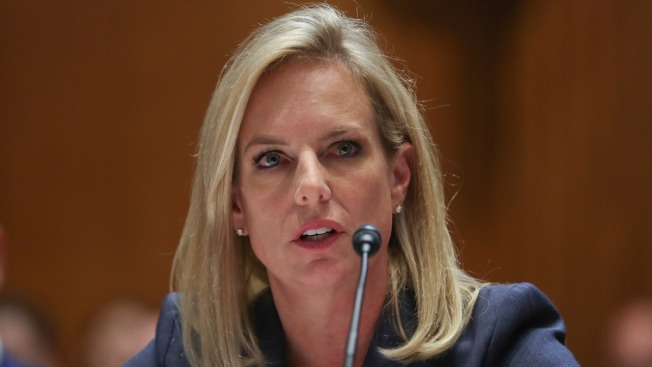 Homeland Security Secretary Kirstjen Nielsen said Tuesday that she was unaware of intelligence assessments concluding that Russia favored President Donald Trump over Hillary Clinton in the 2016 election. The U.S. intelligence community said in a January 2017 assessment that Russia had tried to influence the election to benefit Trump. "I do not believe I've seen that conclusion that the specific intent was to help President Trump win. I'm not aware of that," Nielsen said, responding to a reporter's question after briefing House members on election security efforts. She said she believed the Russians have attempted to manipulate public confidence on both sides. Admiral Michael Rogers, director of both the U.S. Cyber Command and the National Security Agency, told Congress he has taken steps to counter the threat of Russian meddling in future U.S. elections, but it hasn’t been enough to deter Moscow’s activities. "We've seen them encourage people to go to a protest on one side. We've seen them simultaneously encourage people to go to that same protest on the other side. So I think what they're trying to do, in my opinion, and I defer to the Intel community is just disrupt our belief in our own understanding of what's happening." "Importantly, they targeted both major political parties. As the Secretary reiterated - their intent was to sow discord in the American electoral process," the spokesman Tyler Houlton said. But the intelligence community's findings stated directly that the Russians sought to help Trump's candidacy, and the question the reporter had asked Nielsen was: "Do you any reason to doubt the Jan 2017 intelligence community assessment that said it was Vladimir Putin who meddled in the election to help President Trump win?" Trump has expressed skepticism over whether the Russians tried to help him win the election. But the Senate intelligence committee said last week that it agrees with the intelligence agencies' assessment. That was at odds with Republican members of the House intelligence committee, who said that while Russian President Vladimir Putin wanted to hamper Clinton's campaign, that didn't mean he wanted to help Trump. President Donald Trump said Thursday his administration has asked a New York-based private equity executive to lead a review of the U.S. intelligence community as he moves to crack down on "illegal leaks" of classified information. The House committee said the intelligence agencies failed to use "proper analytic tradecraft" when they assessed Putin's intentions. The top Democrat on the intelligence panel, Mark Warner, sent out a list a list of three separate occasions where the report of Russia's attempt to sway the election was made public. And Bennie Thompson, a Mississippi Democrat and ranking member of the House homeland security committee, said he'd personally deliver Nielsen a copy. 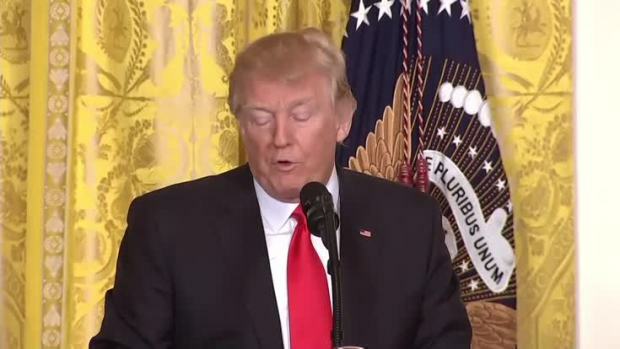 "This report is over a year old, has stood the test of time, was agreed to by the entire Intelligence Community, and was backed up by Senate investigators," he said in a statement. About two weeks ago, the president unloaded on Nielsen at a heated Cabinet meeting — railing against her for failing to stop illegal border crossings.